Monument by Kazakh sculptor to be opened in Turkey ASTANA. KAZINFORM The Turkish city of Bolu is going to unveil a monument by Kazakh sculptor Murat Mansurov, Kazinform reports. Abzal Azhgaliyev wins bronze at ISU Short Track World Cup 2018 ALMATY. KAZINFORM Kazakhstani Abzal Azhgaliyev (40:827) clinched a bronze medal in Men's 500m sprint at the ISU Short Track World Cup 2018/9 in Almaty, Kazinform correspondent reports. Air Astana to present its new Embraer 190-E2 Dec 14 ASTANA. KAZINFORM On December 14, 2018 the Nursultan Nazarbayev International Airport will hold a presentation of a new jet bought by Air Astana - Embraer 190-E2, Kazinform learnt from the Civil Aviation Committee. Chinese archaeologists unveil deluxe carriage from 2,500 years ago BEIJING. KAZINFORM Archaeologists at the archaeology research institute of the Chinese Academy of Social Sciences have unveiled the details of a deluxe carriage unearthed in a cemetery dating back to the Eastern Zhou Dynasty (770-256 B.C.) in north China's Hebei Province, Xinhua reported. KBF named Temirtas Zhussupov Boxer of Year 2018 ASTANA. KAZINFORM The Kazakhstan Boxing Federation announced the best fighters, coaches, judges - all those who showed an outstanding result in 2018, Kazinform learnt from the Federation's press service. Kazakh pop diva Roza Rymbayeva wins Russian ‘Natsionalnoe Velichie' award ASTANA. KAZINFORM People's Artist of Kazakhstan, singer Roza Rymbayeva has been awarded Russia's Natsionalnoe Velichie (National Grandeur) Prize ‘For Outstanding Development and Devotion to Duty', Kazinform reports citing the singer's Instagram post. Two women died in traffic collision in Aktau suburb AKTAU. KAZINFORM Two women died in a traffic collision in Mangistau region, Kazinform learnt from LADA. Armenia votes to elect new parliament YEREVAN. KAZINFORM. 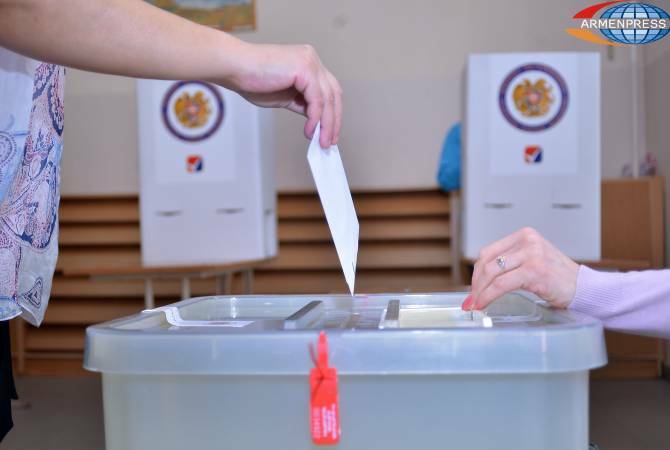 Armenia is electing a new parliament, ARMENPRESS reports. Astana, Washington step up enhanced strategic partnership dialogue ASTANA. KAZINFORM - Principal Deputy Assistant Secretary for the Bureau of South and Central Asian Affairs, Ambassador Alice Wells is set to visit Astana on December 8-12 for the U.S.-Kazakhstan Enhanced Strategic Partnership Dialogue, Kazinform has learnt from the U.S. Department of State. First National Tourism Awards winners announced in Astana ASTANA. KAZINFORM On December 8 Astana hosted the 1st National Tourism Awards ceremony, Kazinform reports. 5 dead, 18 injured in central China expressway pile-up BAKU. KAZINFORM Five people were killed and 18 others injured in a series of road accidents in central China's Hunan Province on Saturday evening, local authorities said, Trend reported citing Xinhua. Almaty Mayor Baibek became Honorary President of Qazaq Kuresi Federation ASTANA. KAZINFORM Mayor of Almaty city Bauyrzhan Baibek was elected the Honorary President of the Qazaq Kuresi (Kazakh Wrestling) Federation, Kazinform reports. Foggy weather, ice slick forecast in Kazakhstan Dec 9 ASTANA. KAZINFORM Most parts of the country will be affected by the anticyclone which will bring frosty weather and no precipitation. Some precipitation is expected in western and southern (heavy precipitation) regions only. Fog and strong wind are predicted for some areas. December 9. Today's Birthdays ASTANA. KAZINFORM Today's Birthdays is the one-stop shop where you can learn about prominent Kazakhstani people who were born on the 9th of December. December 9. Kazinform's timeline of major events ASTANA. KAZINFORM Kazinform's Timeline is the one-stop shop where you can learn about historical events for the 9th of December. See what notable events happened throughout Kazakhstan's history on December 9.